Thanks, Echo! I just hope I can hurry up and get this thing finished. I don't want it to take as long as The End of the SWAT Kats! did! Night is beginning to fall. A cordon of Enforcer Peacekeepers and halftracks and armed commandos have been set up to defend the power plant from attack. They're supported by SECURITY GUARDS in their Jeeps marked with the emblem of the power plant. Three Enforcer choppers sit ready and waiting to take to the air. Commander Feral paces impatiently with his arms behind his back, swagger stick in hand, looking like Patton. Off to one side wait Felina and a handcuffed Dr. Viper, who is being guarded by three commandos. It's deathly quiet except for the waves of Megakat Bay lapping at the shore and some murmuring among the commandos. Isn't this a little much to defend against one bug-eyed MASA doctor...? No way, man. The more firepower we've got, the better. I was part of the hazmat team that went in and mopped up at the Space Center. You didn't see what I saw. Sergeant Talon, sticking out of the turret of the lead tank, glowers down at them. Cut the chatter, you two. Focus on your duties. They shut up. Nearby, Commander Feral continues his uneasy pacing. He turns and looks at the cuffed Viper. Well, Snakeface? Where is he? I thought you said the nuclear plant was his primary target. Viper shifts restlessly in the cuffs. The commandos guarding him look scared to death of him breaking free. He'll come. Believe me, Commander. Dr. Ssstreet is a kat after my own heart. Onccce he has sssomething ssset in his mind... nothing will ssstop him. Feral raises once eyebrow, as if suspecting something, that Dr. Viper might not be entirely forthcoming. He holds up one hand for silence and the chit chat stops. He hears a distant buzzing. In the distance, they see two approaching airborne figures. Get him out of here! Take him back to Enforcer Headquarters and lock him up. She looks for a dissenting countermand from her uncle but he's too busy looking through a pair of binoculars. Nodding, two of the commandos grab a strangely unresisting Viper and drag him to one of the waiting choppers. The third follows nervously with his rifle at the ready. The four get in and the rotor blades fire up and the chopper lifts off. Sticking out of his Peacekeeper, Talon issues an order into a walkie talkie he's holding. All tanks prepare to fire. Felina addresses the commandos acting in support of the armored vehicles. Prepare to open fire! We'll blast those bugs out of the sky. He peers through the binoculars. The other Enforcers tense. From Feral's P.O.V. we see Street carrying Ann Gora and Murdoch flying alongside, the flask in his hand. Feral lowers the binoculars and growls angrily. They have a hostage. It's Ann Gora! There is murmuring among the commandos. Fast approaching are the two Ci-Kat-A and their prisoner. Street is as giddy as he's capable of being, cradling Ann in his arms with infinite care. They hear the whup-whup-whup of whirling rotor blades and the Enforcer chopper carrying Dr. Viper flies past. He and Street eye one another through the open side door of the chopper in the split second they're beside one another before the aircraft moves past. He izzz meaninglezzz. Our final objective liezzz before uzzz. Keep your mind on your buzzzinezzz, my friend. Murdoch nods. Ann squirms in Street's grasp and he tightens a grip a little. Don't zzztruggle too much, Mizzz Gora. I wouldn't want to drop you. It'zzz a long way down. Gulping, Ann looks down. One of the commandos guarding Viper in the departing chopper raises his rifle and prepares to fire at Street and Murdoch before one of his comrades pushes the barrel of his gun down, pointing at Ann. The first commando glowers in angry disappointment. They hear jet engines and T-Bone and Razor fly past on their jetpacks. Hey, look! It's the SWAT Kats! Viper just smirks smugly and steeples his fingers. Despite nothing seemingly going his way, he is bizarrely content and compliant with his captors, and quite relaxed. The chopper flies on to Enforcer Headquarters without incident. Come on, T-Bone! Punch it! You're flyin' like an old lady! My impulsive personality rubbin' off on you, buddy? Take it easy. I'm followin' at a safe distance. Razor smirks and nods, understanding. He spares the Enforcer chopper carrying Viper a glance as it flies past and then looks at the air rifle in his hands. ...with only two doses of this stuff left, if he does, somebody's gonna have to go on bein' a Ci-Kat-A. At least for a little while longer. Yeah, well, Street's got my vote if that happens. Easy, T-Bone, it isn't his fault. It's none of their faults. Okay, ready to enact the plan? The air gun in hand, he zooms forward. As the Ci-Kat-A approach the nuclear power plant, they hesitate a bit, slowing, at seeing the cordon of defending Enforcers. Nothing'zzz happening. They're not firing at uzzz. It'zzz becauzzze we have our future queen here. They won't fire azzz long azzz she remainzzz a normal kat. That'zzz why I haven't bitten her yet. He looks down at Ann. That'zzz going to happen onzzze we get inzzzide. Onzzze I breach the reactor and turn thizzz entire zzzity into food for your the brood you'll bear me, my queen. She squirms more fitfully, kicking him, and he drops her. She falls. A suddenly terrified Street dives down after her, an equally worried Murdoch following. Suddenly T-Bone whooshes by between them. Street stops and hovers in midair in surprise. Murdoch slams into him. The flask jostles, the liquid inside sloshing. Clumzzzy fool! Give me that! He grabs the flask from a chastened Murdoch. Below them, T-Bone swoops down and scoops Ann up in his arms, saving her. Looking through his binoculars, Feral sees that Ann isn't in Street's grasp anymore. Ann Gora isn't in danger anymore. He turns to Felina and their men. Open fire! Blast them out of the sky! Hovering in the air with buzzing wings, Street is seething with broiling rage. Our queen! Thozzze ZzzzWAT Katzzz have interfered in my planzzz for the lazzzt time. He looks at chemical inside the flask. Time to use it. Suddenly the air around him and Murdoch begins exploding. Lasers whiz past. The two Ci-Kat-A cry out in surprise. Street clutches the flask with both hands like his life depends on it. Get the queen. I'll ensure thezzze puny Enforcerzzz will no longer bother uzzz and clear the way. Go. Murdoch nods and dives down after T-Bone and Ann, dodging the explosions and lasers. T-Bone, looking over his shoulder, sees their pursuer, and, then, closing on Murdoch from behind, Razor. He grins but Murdoch doesn't notice, too focused on closing the distance between himself and the SWAT Kat with his future queen, arms outstretched, claws grasping, close to grabbing T-Bone's ankles. Clutching Ann to his chest, T-Bone flies down closer to the ground, Murdoch following close behind. They're only a few feet above the ground now. Behind them, Razor loads the first of the last two doses of the antidote into the gun, snapping the chamber shut, squinting down the barrel, lining his shot up. He turns and looks up. Razor fires. Pffft! The dart flies out and sticks into the transformed con's neck. Murdoch gasps and plucks the dart out, but it's too late. Already he's reverting back into a normal kat. His wings shrivel and fall off. His Ci-Kat-A mandibles retract into his mouth and disappear. His eyes squeeze shut, then open. They're normal again. They roll in their sockets in confusion. He's still airborne, flying forward of his own momentum. But because T-Bone led him down close to the ground, he suffers nothing worse than a few bumps and bruises as he slams into the concrete, tumbles and comes to a stop lying sprawled on his back, alive but unconscious. Whilst dodging lasers and explosions, Street observes the loss of his final ally with surprise and anger. T-Bone lands beside Murdoch, setting Ann sagely aside. He kneels and checks the con's pulse, giving Razor a thumb's up. He loads the final dart into the gun, then turns and looks at Street nearby, doing his best to dodge everything the Enforcers are throwing at him. He aims and fires. But Street is ready. He dodges! With his free hand, he grabs the dart out of the air and flings it contemptuously to the ground. It breaks, spilling the precious antidote everywhere. Nizzze try, ZzzWAT Kat! But I am not zzzo eazzzy to take by zzzurprizzze. He flies down and lands amidst the explosions. Watching through his binoculars, Feral holds up a hand. Felina looks through her binocular's too. From her P.O.V., we watch Street approaching the group. Then we switch to normal viewer P.O.V. as Street, flask in hand, stopping about twenty feet from the SWAT Kats, Ann and the unconscious Murdoch. He holds out his free hand. Something is coming over him. He looks and sounds sad. Alone. Mizzz Gora... Ann... come with me. Pleazzze. Be my queen. One bite and you will underzzzstand. One bite and together we can make an entire new race of children to feed on the irradiated remainzzz of thizzz pitiful Earth zzzity. She looks down at Murdoch, then at the SWAT Kats. ...everyone will die of radiation poisoning! No more free thought or choice. Street eyes him with annoyance. Razor narrows his eyes at him. Face it, Street. The ends don't always justify the means. The Ci-Kat-A way is not the right way. Dr. Street... Harley... you're sick. Your thoughts aren't your own. Turn yourself in to the Enforcers. You've seen that they can cure people who've been bitten by the Ci-Kat-A! She points at Murdoch, still lying out cold on the ground. Yeah, c'mon, Doc. Come with us and we'll get you to the Enforcers. They can make more of the cure and you'll be your old self again. For a brief moment, Street seems to consider it, and something glimmers in his compound eyes... but then he rejects it. The SWAT Kats both observe his change in body language and realize things are about to turn violent again, tensing, as Street pulls the stopper from the flask he's holding. Razor drops the air gun and starts to raise his Glovatrix. Before Razor can fully raise his arm to fire, Street upends the flask, dumping the contents on himself. It splashes down over his body. ...then I shall be the Ci-Kat-A king! 1. Poor Dr. Street! He's rejected not one but two last-second chances. Whatever happens now, he's almost certainly doomed. 2. No one seems to notice how calmly Dr. Viper is taking his seeming defeat. I guess you can't blame the Enforcers, since they have more urgent things to worry about. 1. I guess he feels he's passed the point of no return at this point. Plus, we gotta have a giant monster ending! 2. I'm sure they're just glad he's being cooperative. Street's body shudders, his skin bubbling, expanding to tumorous proportions, ripping out of what little remains of his torn and ragged clothing, Callie's communicator clattering to the pavement and spinning off, his brown fur darkening, turning black, his features and limbs distorting and then... disappearing. As the SWAT Kats and Ann back up cautiously, they realize Street is transmogrifying into a huge, thick, black, slimy cocoon! Oh, gross...! What was that stuff he poured on himself?! It must've been whatever he stole from Megakat Biochemical Labs! You need to get out of here, pronto! Making a miffed face, Ann turns and flees. At the Enforcer blockade surrounding the power plant, Feral peers through his binoculars, Felina standing behind him. Feral lowers the binoculars, blinks, then raises them again. From his P.O.V. we see the hideous sight of Street cocooning himself. I... don't know, Felina. But it looks like he's turning into some kind of insect cocoon. The fully transformed Street, now a big, black cocoon covering in pulsating boils and dripping a viscous, clear slime, falls forward with a splat and lays motionless on the ground. The SWAT Kats point their Glovatrixes at it. A beat. Nothing happens. T-Bone and Razor exchange confused glances. He walks over and prods at the cocoon with his foot. Still, nothing happens. It just sits there, pulsing and throbbing. I think he pupated himself. T-Bone turns and looks at his partner, one eyebrow raised. You know, like a cocoon? Like a... like a butterfly sorta deal? Yeah, he's changing in there. I just know it. And somehow I don't think that anything as pretty as a butterfly is gonna come out. Oh, for the love of-- Then you mean this isn't over? A wet, splitting crack startles them. They whirl. The cocoon is shuddering and rocking violently. It heaves and the top bulges, then splits as a glistening shelled back rises up, followed by the rest of what Dr. Street has become... an enormous, black, scarab-like beetle creature some seven feet tall with a shining ebony exoskeleton, except for his segment underbelly which is an off purple color, and his eyes, which are no longer green but a blazing yellowish orange, different from any Ci-Kat-A previously. He is as majestic as he is terrifying. I am the Ci-Kat-A king! Great, not only a giant bug, but a giant bug with delusions of grandeur! The SWAT Kats fire Mini-Turboblades at the huge bug, but they just bounce off his armored carapace. Crud! He's a real-life Hard Shell! 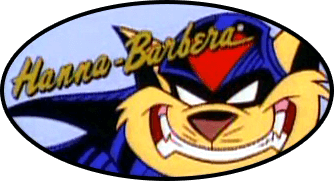 Ignoring the SWAT Kats, Street's armored back splits open, the shelled plates moving aside as he spreads his huge wings, which are a royal metallic purple color. Pushing off the ground with his taloned feet, he takes to the air and flies towards the power plant. Yezzz, I am the Ci-Kat-A king... and I will turn thizzz pitiful Earth zzzity into a paradizze for my kind! At the blockade, Feral reacts to the approaching scarab, lowering the binoculars. Will just have to have enough sense to get out of the way, Lieutenant! All of Megakat City is at stake if that thing breaches the reactor core! With a sigh, Felina nods to the assembled Enforcers and plant security. They open fire at the black scarab, but the laser blasts and artillery do nothing. The SWAT Kats move aside to safety, where the unconscious Murdoch is still lying. They watch as everything the Enforcers and security guards have got does nothing against the mutated Street. Razor, nothin' Feral's throwin' at 'im is even denting 'im! We've gotta find a way to stop him, or else Megakat City's gonna go into mega-meltdown! They ignite their jetpacks and pursue Street amidst the lasers and explosions peppering the air. A the blockade, Street lands with a thud, and bellows. The commandos and security guards scatter, Street taking a blast from Sergeant Talon's Peacekeeper directly to the chest with no effect except that he staggers back a bit. Enraged, he grabs hold of the tank, straining. Feral and Felina draw their sidearms, firing at the huge monster to no effect as, with great effort, Street lifts the entire tank up! Talon, poking out of the turret, cries out in surprise and alarm, clambering out onto the top of the tank. Street tilts the tank sideways, and Talon falls off, smacking hard onto the pavement. He looks up as Street turns the Peacekeeper entirely upside-down and shakes it, the two-man crew falling out of the open turret hatch. A startled commando lands on either side of Talon. The three get up and rush off as Street flings the tank down towards them; they just barely avoid being crushed. A second Peacekeeper rolls forward and fires, but has no more luck than Talon's did. With a roar, the black scarab grabs and twists the double barrels. The hatch opens and one of the commandos crewing the vehicle pokes out. He is seized in Street's clawed hand and flung indifferently aside, smacking against the side of an Enforcer cruiser. Once more, despite the laser fire he's being pelted with, the insect begins to lift the tank. The rear hatch opens and the second commando crewing the Peacekeeper gets out, but then turns and screams as the tank is tilted up and back, falling toward him. He rolls aside and the tank lands upside-down, rocking unevenly, twisted and broken. Street pushes on as the Enforcers and security guards scatter before him, wrenching the gun off of an Enforcer halftrack and flattening the cab with one big, clawed foot, the two Enforcers inside just barely throwing open the doors and leaping out in time. Then, in a fit of pique, he shoves the halftrack onto its side and stomps off towards the power plant entrance. Feral and Felina, joined by several commandos, continue firing at him, but finally Feral holds up a hand. It's no good! Nothing can stop that thing! The SWAT Kats whoosh overhead on their jetpacks. Except maybe the SWAT Kats! Growling, the scarab approaches the main entrance to the nuclear power plant. A SKINNY GUARD and a BURLY GUARD with holstered laser pistols stand at either side of the entrance. They gulp as the huge shadow falls over them, hands reflexively going for their sidearms. Instead, they look at one another, then spin and run off in opposite directions. Street ignores them completely, battering down the front door. The door falls inward with a bang. Street shoulders his way in, destroying the doorframe because he's too big to fit through. He stomps off down the hall, making the entire building shake. The reinforced door flies inward off its hinges, whizzing past a startled RADIATION-SUITED TECHNICIAN who is monitoring the control panels for the main reactor, visibly glowing in the room beyond a big window past where the technician is working. The door hits and cracks the glass of this window, but doesn't break it. The technician - working with his back to the door - whirls and holds up a hand to stop the intruder. He stops short, gasping as the huge black scarab towers above him. He turns and runs from the room through another door. Again, Street ignores the pitiful kat who has fled before him; he only has bug eyes for the nuclear reactor. He is visibly salivating, slimy saliva dribbling off of his mandibles as he approaches the control panel. He grabs it, tearing it loose from the wall, causing alarms to begin blaring, and hurls it at the already cracked window looking into the reactor room. It hits and smashes through the thick, reinforced glass. Battering through the wall, Street enters the main reactor room, his final goal. His long arms stretch out, reaching towards the nuclear fuel rods glowing in their bubbling cylinder of water in the center of the room. Behind him, the SWAT Kats run into the control room and skid to a halt. They watch helplessly as the big bug approaches the reactor. He aims with his Glovatrix. No, that doesn't do any good! Razor pushes T-Bone's Glovatrix arm down. First thing's first, we gotta protect ourselves from the radiation that's gonna be pouring outta that reactor. He points to some lead-lined radiation suits like the one the technician was wearing hanging up on the far wall. They run over and hurriedly begin putting them on. Smash! Street breaks the thick glass of the cylinder full of hard water surrounding the nuclear fuel rods. More alarms begin blaring. Red lights flash. The monstrous black beetle is bathed in a mixture of crimson light and the yellow glow from the fuel rods. The reactor room now has an apocalyptic look and feel to it. The bubbling liquid splashes everywhere, filling the room as the glistening scarab wrenches a fuel rod free and begins to eat it. Almost immediately, he begins doubling in size, increasing from seven feet to fourteen feet as he greedily munches down the radioactive metal. Gauges and monitors that measure the radiation levels start registering increasingly high levels of radioactively. Computer screens flash warning messages. Warning! Warning! Main reactor breach! Radiation leakage at dangerous high level! The SWAT Kats are now dressed in radiation proof suits, with their Glovatrixes worn on the outside so they can still use them. T-Bone shifts uncomfortably. I feel like an astronaut in this stupid thing. And it weighs a ton. They go to the hole in the wall where the viewing window used to be, watching Street gorging himself on the fuel rods in the adjacent room. He's now grown to twenty feet. ...and I'm guessin' those measurements ain't good. So what's your plan? Like I said, we were never gonna stop him from breaching the reactor. He's just too thickly-armored for anything we've got on us. But what we can do is prevent this place from totally melting down and destroying Megakat City, and maybe take care of Dr. Bug-Eyes once and for all at the same time. And how can we do that? I'm no nuclear physicist, but without the water keeping those fuel rods cooled off, they'll just overheat and blow up, right? So we gotta get 'em cooled down, right? Razor holds up a finger. Now you're with me! Come on! He turns and hurries from the room as fast as his heavy suit will allow. T-Bone lingers, looking back and forth between Razor and Street munching away in the next room. Razor, where are you going? The monster's in here! Come on! We're gonna bring the water to the reactor! T-Bone hurries out - again, as quickly as the radiation suit he's wearing will let him. The Enforcers pick themselves up after the thrashing Street gave them. A few are tending to the commando who was flung against the side of a car earlier. They can hear the alarms and the PA announcement from the building nearby. Murdoch sits up, very confused; seeing the Enforcers and hearing all the alarms, he gasps and runs away. Nobody bothers stopping him. Radiation leakage at dangerous high level! Meltdown imminent! The Enforcers and security guards begin to flee, some on foot, some in vehicles. Felina runs for a chopper that is sitting on the ground, clambering in. Gray Taylor is at the controls. Get this thing in the air! We have to go help the SWAT Kats! And maybe you can get a little revenge against that big bug. Felina sits in the co-pilot's seat. Taylor flicks some switches. The rotor blades fire up and the aircraft lifts off. Feral is astonished when he sees the chopper fly towards the power plant and not away from it, grabbing a radio. This is Commander Feral! Lieutenant, what are you doing? What else? Helping the SWAT Kats avert meltdown! Corporal Taylor, this is Commander Feral! I order you to fly back here at once! Still no answer. Feral growls. Oooh, that niece of mine is teaching that academy rookie some very bad habits. Let's get out of here. Get the men to a safe distance. And issue a citywide evacuation order. Just in case. Feral turns and watches his niece's chopper flying towards the power plant. I am. I have to be. Because the alternative is just giving up. Because if Lieutenant Feral and the SWAT Kats can't stop that monster bug... then no one can. Now come on, let's go! They get into Feral's cruiser and speed off.